Stay warm and relaxed when you pull on this Nike Optic Mens Hoodie in a Navy colourway. The Nike Optic Hoodie is made from smooth fabric giving all-day comfort. It features a classic over the head design with a drawstring adjustable hood to create the desired fit and protect against the elements. The kangaroo pocket provides space for storing valuables and keeping your hands warm. 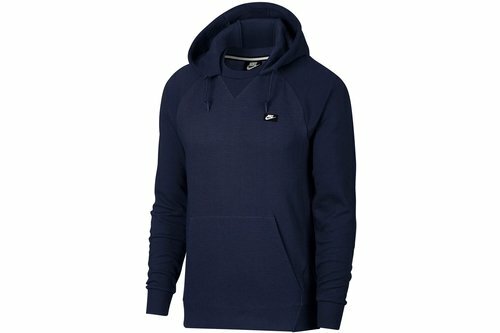 The ribbed trim provides a comfortable fit with the hoodie subtly finished with a Nike branded tab to the chest.